Officials in Fort Worth, Texas, pull a car out of a creek after it was washed away by heavy flooding on Saturday, Sept. 8, 2018. 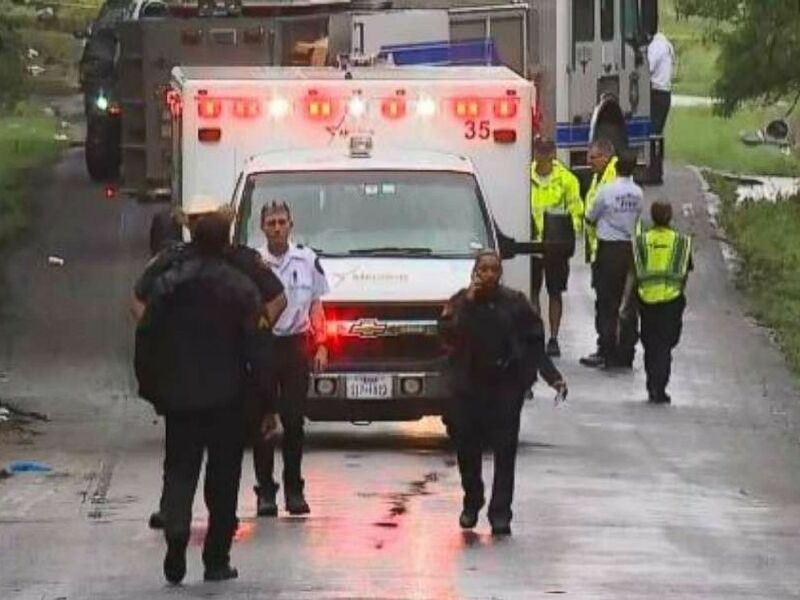 Three people, including a young mother and her toddler, drowned on Saturday when their cars were swept away as flash flooding hit Fort Worth, Texas. 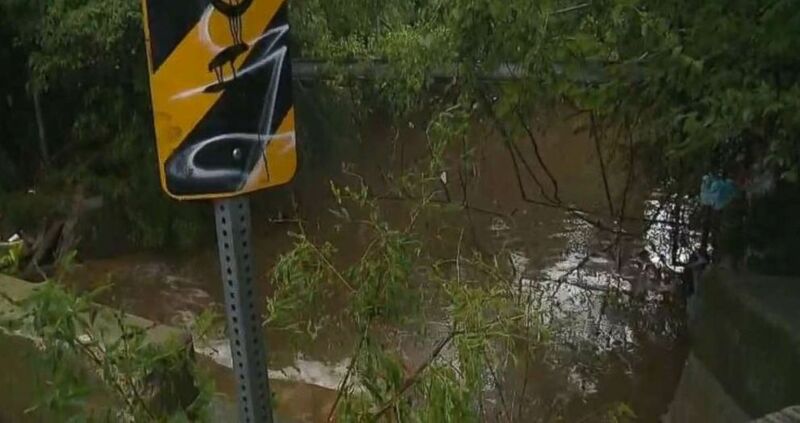 The first incident took place around noon when a woman and her child were driving on a service road in southeast Fort Worth when their car was swept off the road and into 30-foot deep water, Fort Worth Fire Department Battalion Chief James McAmis told Dallas ABC affiliate WFAA. "The car tried to cross the channel, and the water just swept it away," eyewitness Alex Juarez told WFAA. Juarez was following the woman's vehicle and called 911 and tried to help. But even rescuers could not find the car until floodwaters receded. "We could just see the rooftop of the car, and we were trying to make sure it was a car," Juarez said. A mother and her 2-year-old daughter were killed when their car was swept away by flooding in Fort Worth, Texas, on Saturday, Sept. 8, 2018. The victims were identified as an 18-year-old and her 2-year-old daughter, WFAA reported. "The floodwaters were really high for a long period of time, which made access hard to get to people and unfortunately it's been a very sad day for Fort Worth and for its residents," McAmis said. A flood watch was in effect in the area Saturday morning. A woman's car, with her and her toddler inside, were swept into 30-foot deep water by flash flooding and drowned in Fort Worth, Texas, on Saturday, Sept. 8, 2018, officials said. A few hours after the earlier deaths, a 70-year-old man drowned when his car was swept away by a creek, WFAA reported. He has not yet been identified by authorities. Instagram user nessaortego showed just how bad the flooding was in the region on Saturday morning. She posted footage of the creek near her home which flooded over its banks into ranging rapids in Pantego, Texas, just 15 miles east of Fort Worth.